Wednesday, January 9, 2019 – 2:00 P.M.
Helen McClendon age 92, of Somerset, Kentucky passed away on Sunday, January 6, 2019, at Lake Cumberland Regional Hospital. Mrs. McClendon was born on October 9, 1926, to Crawford and Maye Denney Simpson in West Somerset. Mrs. McClendon was a member of the Bronston Baptist Church where she taught Youth Girls Sunday school for several years. She was the owner of Dunagan’s General Store, in Mill Springs, Kentucky as well the co-owner of McClendon Construction Company. She served as the Ombudsman Volunteer for the Lake Cumberland Council and retired from the Burnside Senior Citizens Center. Mrs. McClendon enjoyed farming, gardening, traveling, antiques, music and clogging. 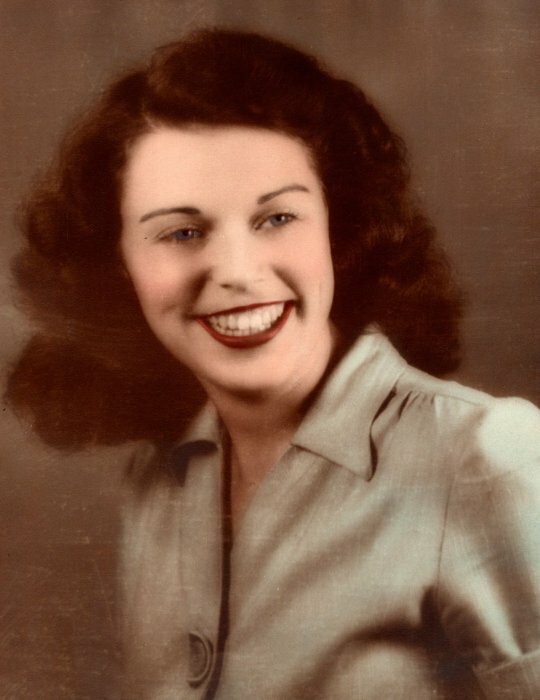 She leaves behind to cherish memory, her son, Gary (Linda) McClendon of Richmond, Kentucky; daughter, Carolyn (James) McClendon Simpson of Bronston; three grandchildren, Celeste Collins, Renee McClendon and McKenzie (Clark) Hargis; great-grandchildren, Zachary Collins, Abigail Hargis and Amelia Hargis; along with one niece and five nephews. Visitation will be Wednesday, January 9, 2019, at 1 P.M. in the Chapel of Southern Oaks Funeral Home. Funeral Services will follow on Wednesday, January 9, 2019, at 2 P.M. in the Chapel of Southern Oaks Funeral Home with Bro. John Wilson Officiating. Interment will be in the West Somerset Cemetery. Southern Oaks Funeral Home entrusted with the arrangements for Mrs. McClendon.